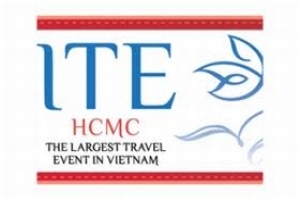 The 8th International Travel Expo, Ho Chi Minh City (ITE HCMC), is an annual travel exhibition presenting the perfect platform for both local and international travel and tourism organisations to collaborate and discuss inbound and outbound tourism. It is the largest event of its kind in the region and the only international exhibition supported by the Government of Vietnam. The event was established in 2005 and designed to promote not only the tourism market within the region but also major tourist destinations around the world. His Excellency, Minister Hoang Tuan Anh - Minister of Vietnam, Ministry of Culture, Sports and Tourism. La Quoc Khanh (Mr.), Deputy Director of the Department of Culture, Sports and Tourism, HCMC Vietnam. \"We hope the organising committee will continue to organise ITE next year. ITE is an important platform, which provides exhibitors the opportunity to promote their destinations, products and services to the world. Cambodia will participate in a bigger and better way by bringing new tourism products to showcase our tourism potential.\"